In a letter to the Minister of Industry, Tony Clement, Mary Lynn Stewart, president of the Canadian Historial Association, lays out the fundamental threat to historical research. Abandoning a mandatory long census form “will significantly diminish the ability of Canadians to understand our country, and it will impair the capacity of future historians to write the history of Canada.” There is no question that this issue is of fundamental interest to Canadian historians as well as many other interest groups across the country. Given the historical and political significance of the census in Canada’s past, it is surprising that the federal government would so casually attempt to fundamentally alter its structure. 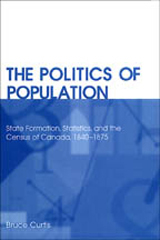 Perhaps Minister Clement should have a closer reading of Bruce Curtis’ award-winning history of the development of the Canadian census, The Politics of Population. Curtis makes a persuasive case for understanding the census as a central tool of political power and organization in modern Western democracies. Given the many historical controversies over the census in Canada, the federal government should avoid such careless (and some might say reckless) treatment of such a valued tool of governance. If you want to voice your opposition to the proposed changes to the census, you can sign an online petition here.